I am a 60 year old Native American flute maker. I started my flute making journey in 2009 and by no means am I a master flute maker ,I am a student of the wood and the wood is always teaching me . Global News dropped by my work shop for a interview June 2016 = Sorry about the advertizing . 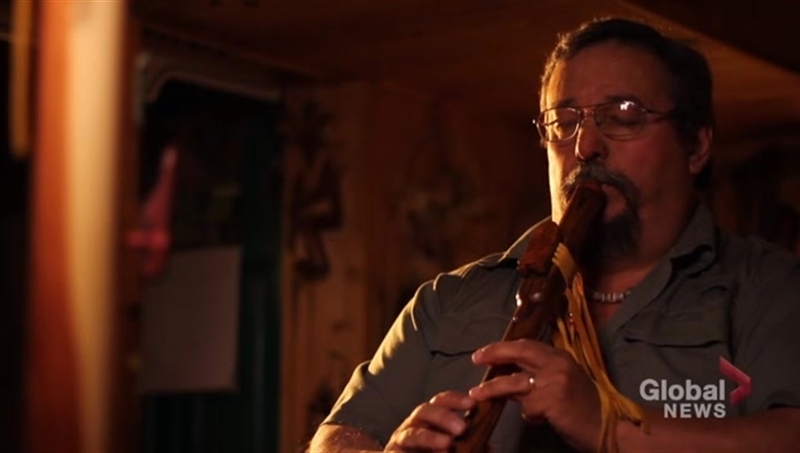 David Maracle accomplished Native flute musician ,Stone Carver/Sculptor .Adopted one of my flutes . Sakoieta" Flute Player-Maker-Instructor, Singer, Dancer, Performer, Recording Artist, Spiritual Counselor, Cultural Educator.